World Fair Trade Day is an annual observance held on the second Saturday in May. It is held by the World Fair Trade Organization (WFTO), a global association of more than 300 hundred organizations that promote fair trade. The term “fair trade” refers to an organized social movement that aims at helping producers in developing countries achieve better trading conditions and promoting sustainability. The movement supports in particular export from developing countries to developed countries. The WFTO was established in 1989 as the International Federation of Alternative Trainers. Its mission is to improve the well being and livelihoods of disadvantaged local producers. World Fair Trade Day is aimed at raising public awareness about the importance of fair trade for the fight against exploitation, poverty and global economic crisis. Fair trade makes a significant contribution to sustainable economy. 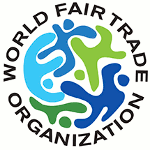 World Fair Trade Day events are held by numerous fair trade organizations, associations and networks, producers, export marketing companies, importers, retailers, policy makers, businesses, and volunteers. They focus on promoting fair trade and encouraging consumers to buy fair trade products, because their support is vital for the producers.